OFF WITH HIS HEAD! oh, so they say. 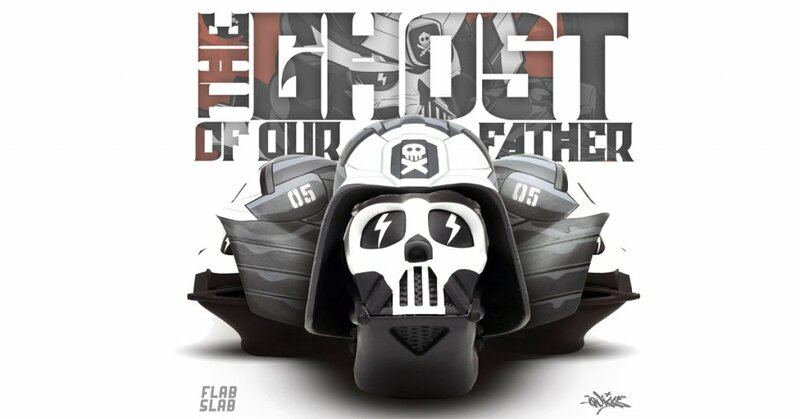 Over the past couple of months, the lads at FLABLSLAB have been teasing like a stripper with the making of “The Ghost of Our Father” bust which originally for the charity #maythe4thsg Star Wars event in Singapore (All profits raised were donated to a charity before you hate) Inspired by The Ghost of Kurosawa, the newly crowned DTA 2018 Artist of the year “Quiccs” and FLABSLAB have produced an edition of 43. Available for sale online this weekend. WHEN: 24th June 11 PM Singapore time.